A few stories sent our way over the last couple of days. 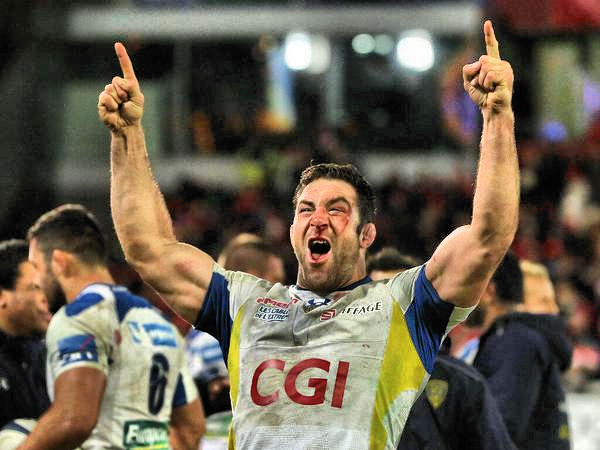 ASM's former second row icon, Jamie Cudmore, has signed on with Provence Rugby, the new French Champion of the Federal Elite 1 and promoted to Pro D2 next season. He signs as general manager. His goal will be to maintain the club at the end of the season, before making it a stronghold of the championship of Pro D2. He will be assisted by Patrick Pezery, who will be in charge of the forwards, and Fabien Cibray, coach of the three-quarters. As a reminder, after helping Oyonnax to join the Top 14 at the end of the 2016-2017 season, he made his first steps as a coach this year. In charge of the Oyonnax conquest, however, the experiment was shortened because after six months of exercise and disagreements with Adrien Buononato, the sports director, "the Canadian lumberjack" had to leave. Talk about vision and leadership . LASHBURN SASKATCHEWAN a rural town with a population of less than 1,000 has just opened up 2 full international rugby pitches named after the man that started it all there some 35 years ago - MURRAY MCDONNELL. When Murray started the first high school program he was also literally new to the program. The school with a total of 200 boys and girls from grades 7 to 12 has won 6 provincial high school championships competing against schools that are up to 10 times as large. They also run a full mini rugby program which in turn adds up to over 100 kids under the age of 18 part of this amazing prairie town’s rugby culture where obviously rugby has become more than a game, but a way of life.